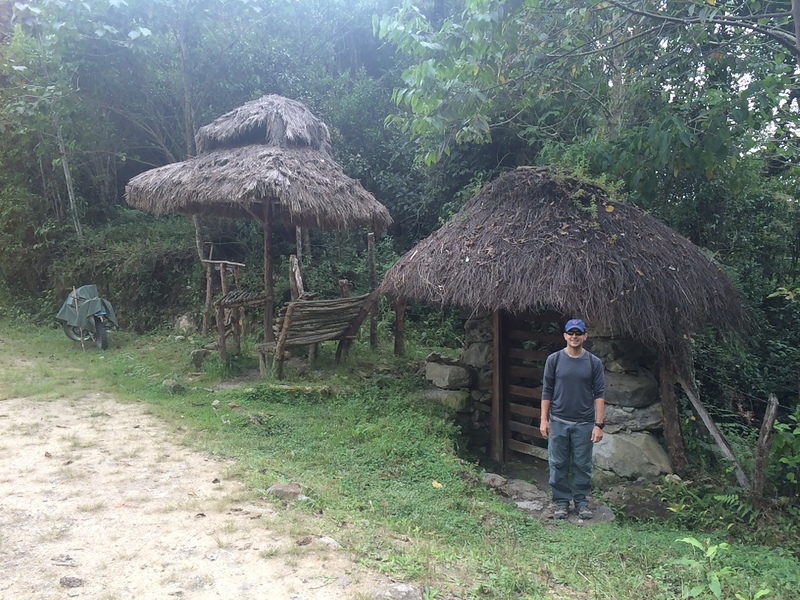 Although both situated in remote areas of northern Peru, I had to make the effort to visit both the Cordillera Blanca in the north and Chachapoyas in the far north due their sites. While the Cordillera Blanca holds what some consider some of the best trekking in South America, the outskirts of Chachapoyas in the state of the Amazon boasts two main attractions: Yumbilla and Gocta, a couple of the tallest waterfalls in the world, and Kuelap, the largest pre-Incan ruins in South America. 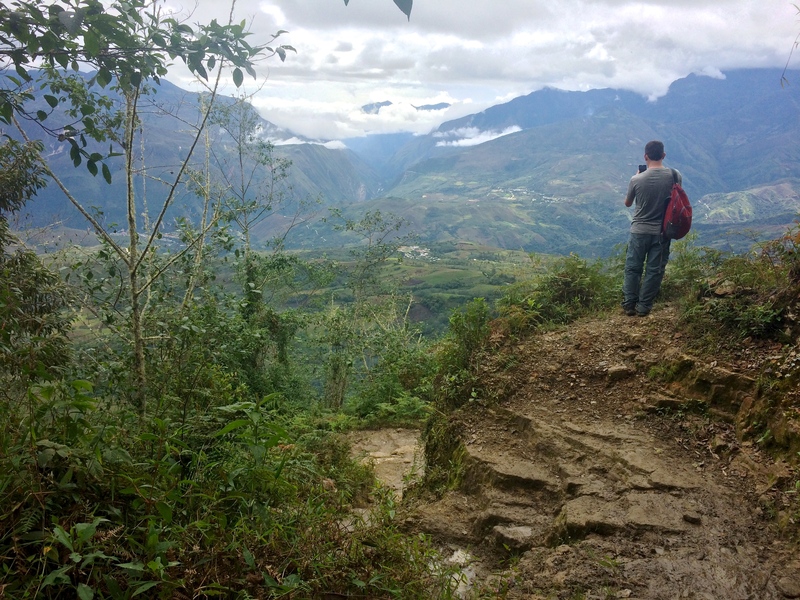 Getting to the town of Chachapoyas from Huaraz was interesting, but getting to Yumbilla Falls and Kuelap independently was a whole other story…an adventure in itself. “It’s not the destination, it’s the journey,” I found myself repeatedly thinking. 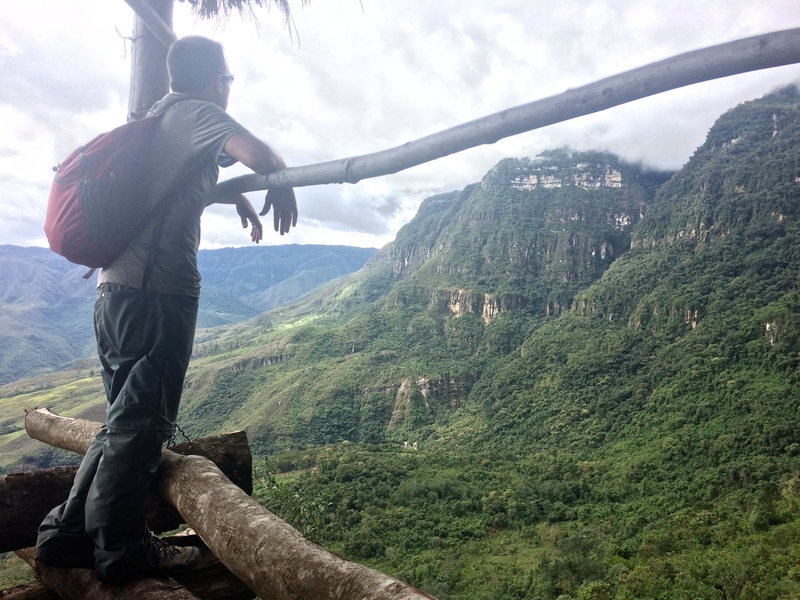 Albeit long and mostly uneventful, the next two days spent traveling from the Cordillera Blanca to the far northern town of Chachapoyas proved to be a bit more interesting than I expected. 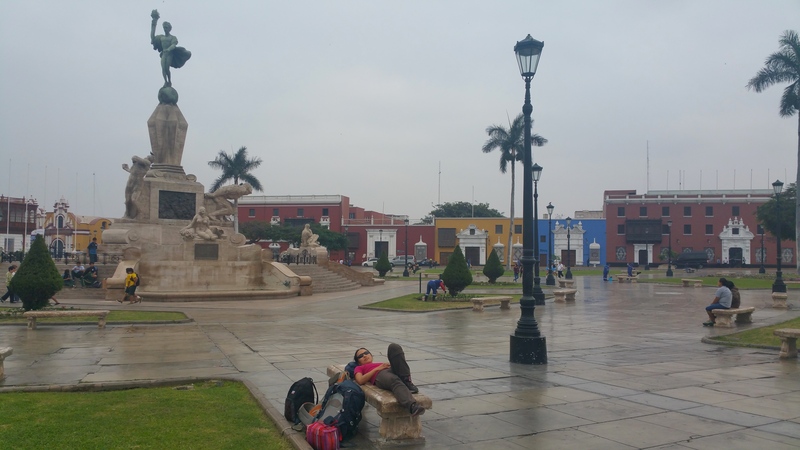 The morning after I trekked Laguna 69, we headed for Huaraz via colectivo for 5 soles each. We had bus tickets from the mountain town of Huaraz to the coastal city of Trujillo at 10:20pm that night, a quick 7-hour journey. The 5:30am arrival into Trujillo was a bit earlier than I expected and we napped at the brand spankin’ new bus terminal until 7am. Not long after the sky brightened we took a 7 sole cab ride (~$2.20) to the main square. Most restaurants and cafes were still closed, so we were basically homeless bums in the town square for another hour until shops began to open. 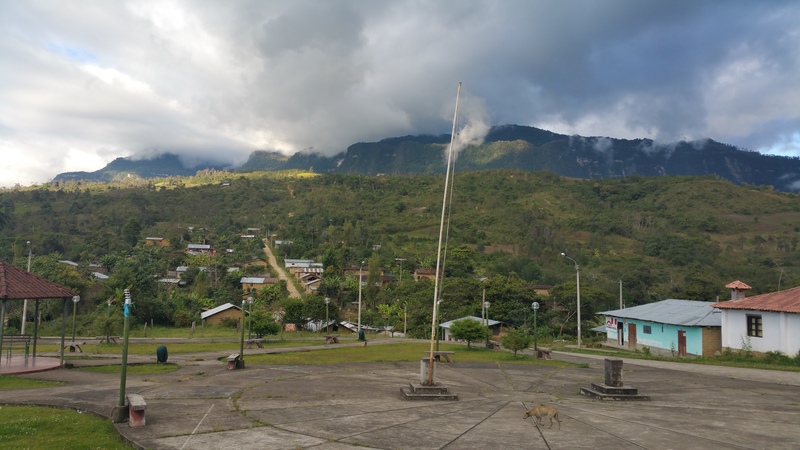 Our time in Trujillo was short; we had less than 12 hours until our next 14-hour overnight bus from seaside Trujillo back into the northern, inland mountain region of Chachapoyas at 4:45pm. 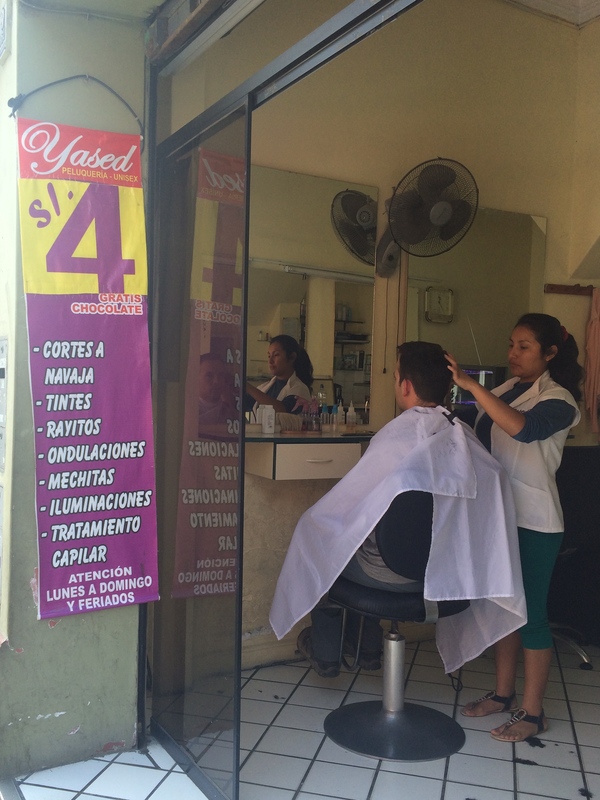 Chris even got a haircut for 4 soles (~$1.25), and they gave us free chocolate per their advertisement. Yay! 4:45 rolled by more quickly than we expected, and we were soon on our way to Chachapoyas. This time around we actually had decent sleep since we were exhausted from lack of sleep on the bus the previous night. 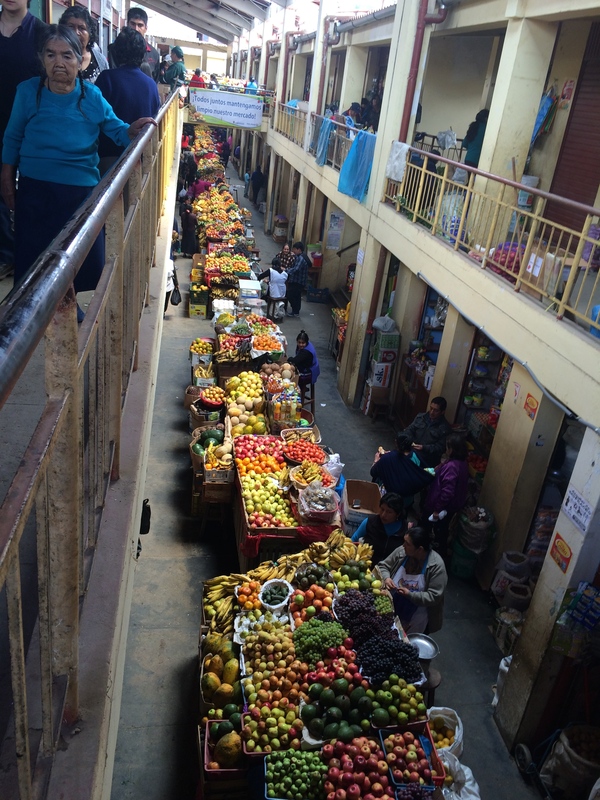 We arrived to the cute town of Chachapoyas around 7am and quickly checked into our hostel. 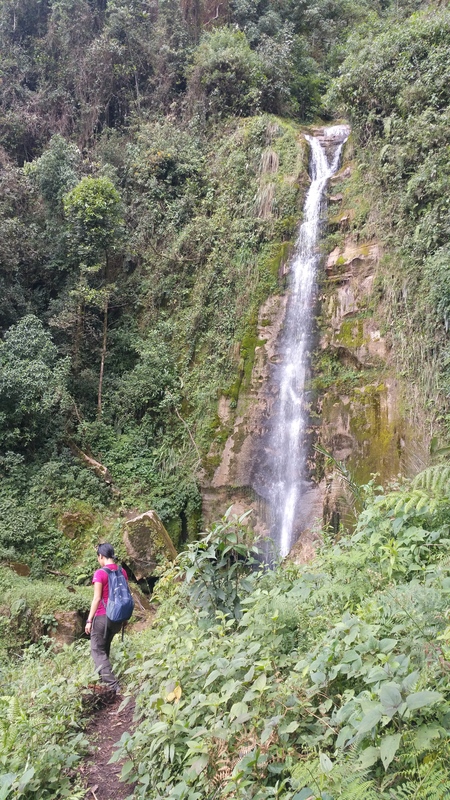 Go to Pedro Ruiz and catch a moto-taxi up to the village of Cuispis to see yumbilla and 4 other waterfalls. Ask the price and then add a bit more for them to take you to the end of a 5km road where the trek starts. Go first to the city hall in the plaza and ask how much for the trek, (it isn’t much). 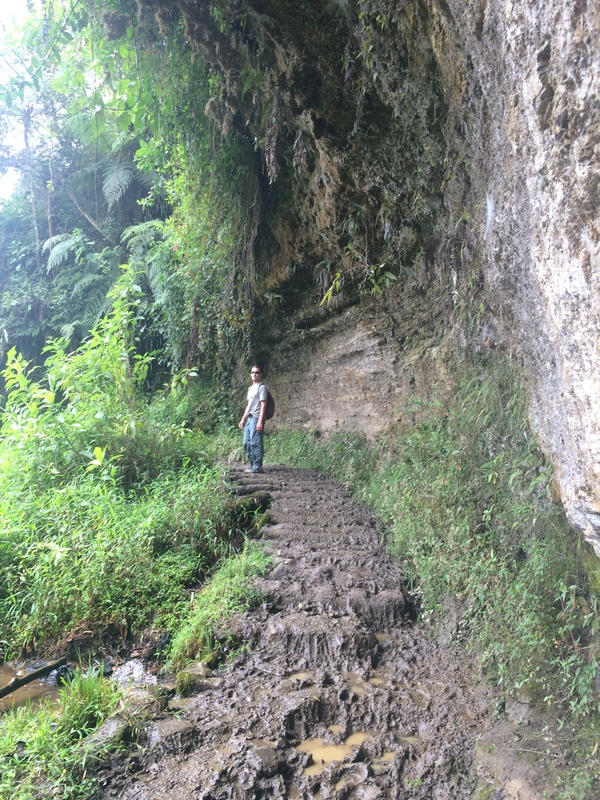 then from there go to the end of the road and go to the right about 1 1/2 km to the Pavillion waterfall. This is the most beautiful in the zone as it is very wide at the bottom with bright stones and vegitation. 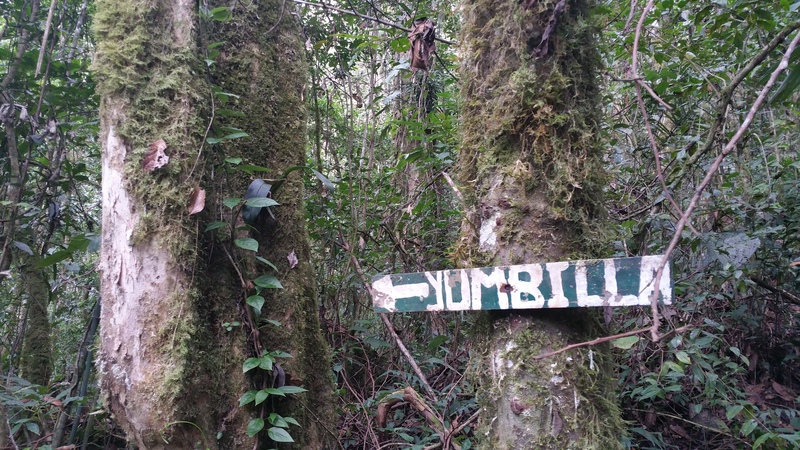 Then back track, cross the road and do the 5 km walk past a couple waterfalls to Yumbilla. You probably will tell the driver not to wait half a day for you, and the downhill 5 km walk is do-able. From the village you can catch another ride to town. So at around 9am, slightly dazed from two days of bus travel, Chris and I set out to Pedro Ruiz from Chachapoyas via a 1-hour colectivo from the bus terminal for 5 soles each (~$1.60). 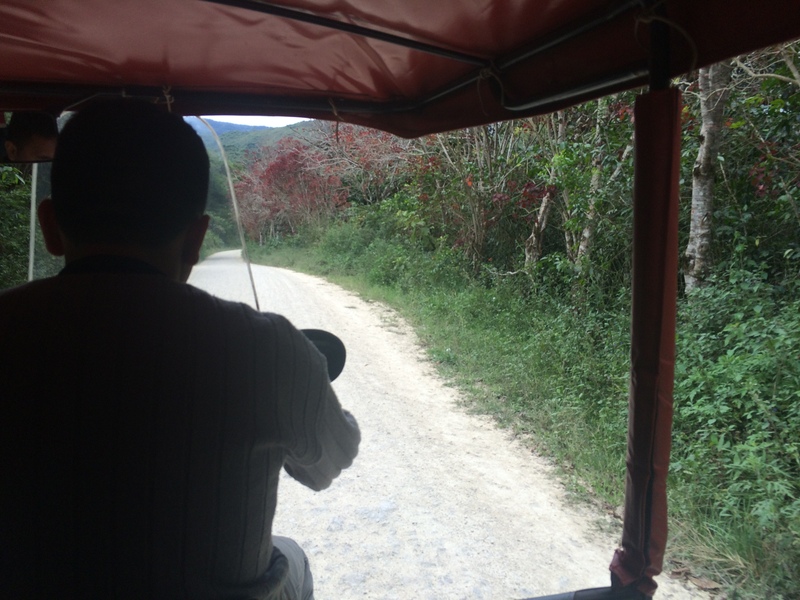 From Pedro Ruiz we took a 25-minute 15 sole (~$4.75) moto-taxi up a windy, bumpy dirt road to the village of Cuispes. Then we arrived at the quiet town square of Cuispes. 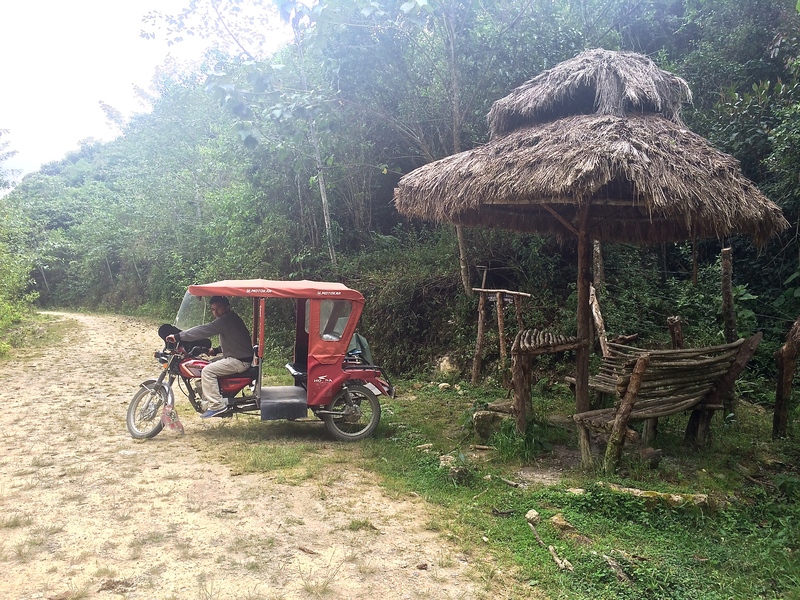 We were taken to La Posada de Cuispes, the only accommodation available in the village. The guy there told us to pay 10 soles each (~$3.15) to hike to Yumbilla, but in retrospect, I wish we had just gone straight up the road to the trail. We received no tickets, there was not a single person on the trail, and we even had to crawl under and over a barbed wire fence just to get in. My theory is that he just pocketed the cash. After we paid, we asked the moto-taxi driver to take us up the road where the trek began which was an additional 10 soles. Ten minutes later, we arrived to the trailhead. Per the instructions, we first hiked the trail on the right. Although the instructions said 1.5 km, we probably ended up walking closer to 4 km because we didn’t see anything amazing. After an hour of hiking uphill, we turned around because we were running out of time. This region of Peru was quite interesting; we were in the mountains but in the state of the Amazon. 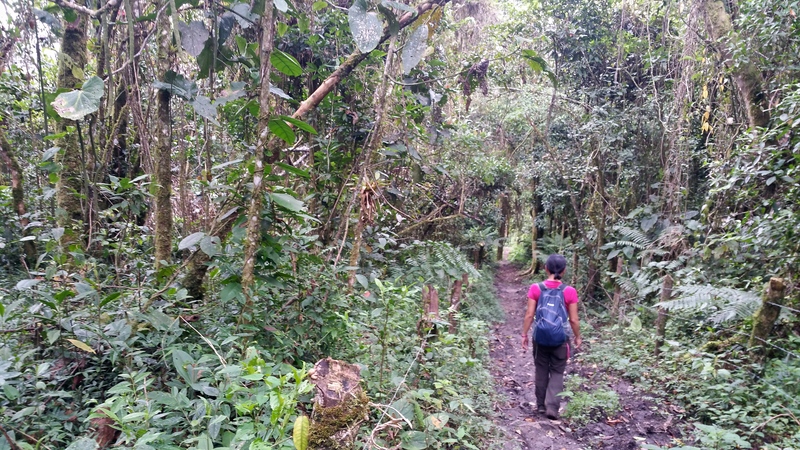 We were surrounded by rain forests and it was wet and slightly muggy, but it was not atrociously hot and humid due to the higher elevation. 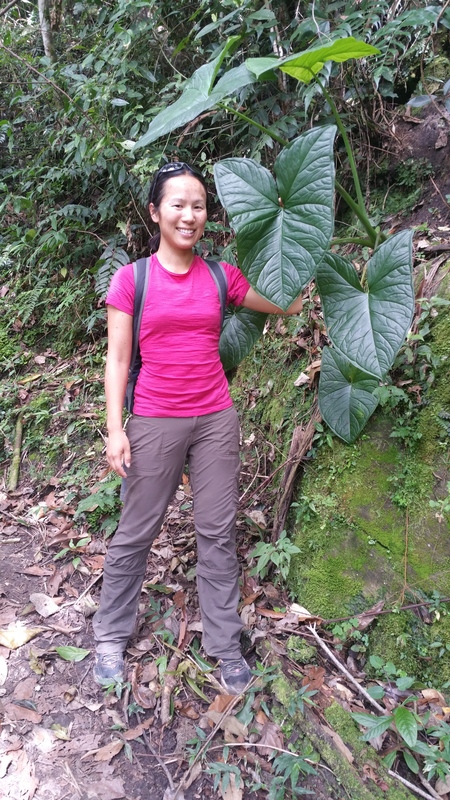 It was the best of the Amazon–there were beautiful, wet rain forests, but it lacked giant bugs, mosquitos, and heat. 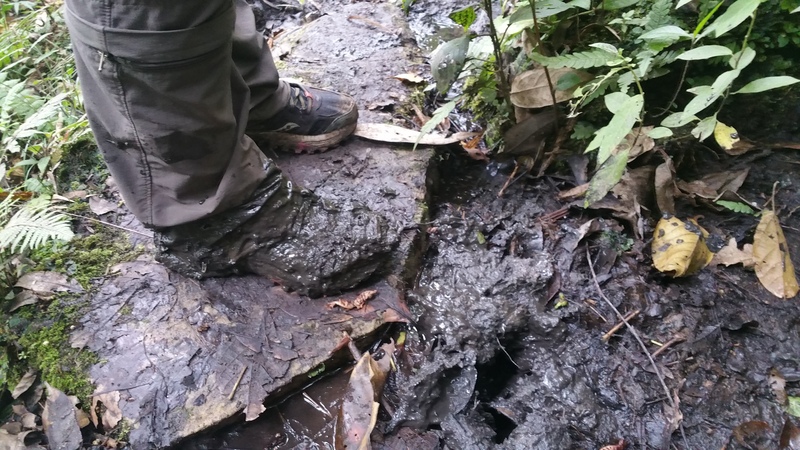 Lots of mud on this trek! The trek to Yumbilla Falls was more picturesque, as the scene was more rain forest-y and there were two more waterfalls prior to Yumbilla Falls. And waterfall #3: Yumbilla at 895.5 meters tall! The trail literally ended at this viewpoint, so we backtracked the same way we came. After climbing under and over the barbed wire fence again, it was an easy 5 km walk down the road back to Cuispes. When we arrived to the village, there was a van parked at the square. We asked three men, who apparently worked in the town’s city hall, about public transportation and they simply offered us a free ride down to Pedro Ruiz. 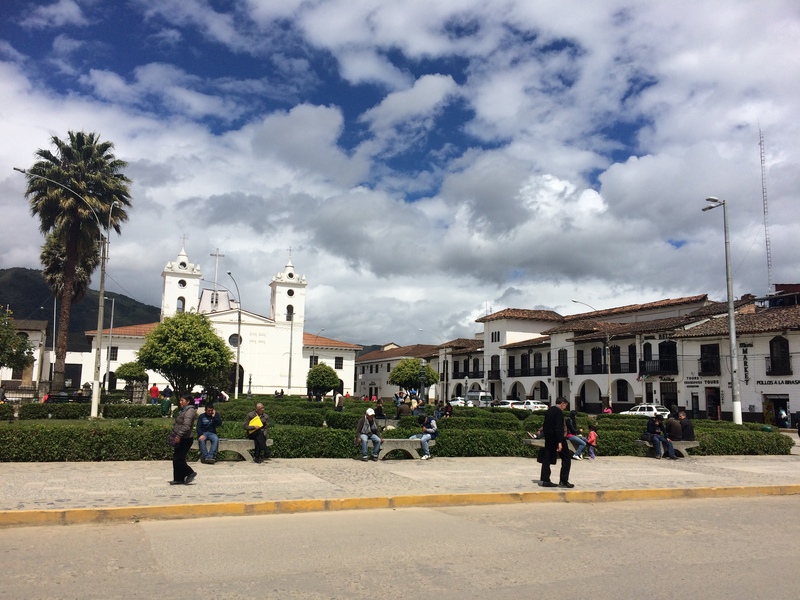 From there we hopped onto a colectivo for 5 soles back to Chachapoyas. Win! 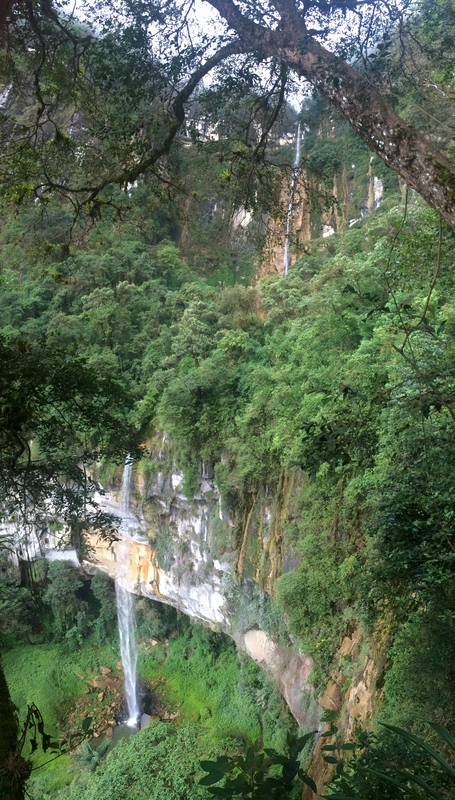 I have no idea how much tours cost from Chachapoyas to Gocta Falls, but for transportation from Chachapoyas to Pedro Ruiz, Pedro Ruiz to Cuispes, Cuispes to the trailhead, then Pedro Ruiz back to Chachapoyas, it cost a total of 35 soles (~$11) for the two of us. Tack on another 10 sole admission fee (~$3.15) and it was still an economical excursion to the world’s 5th tallest waterfall. 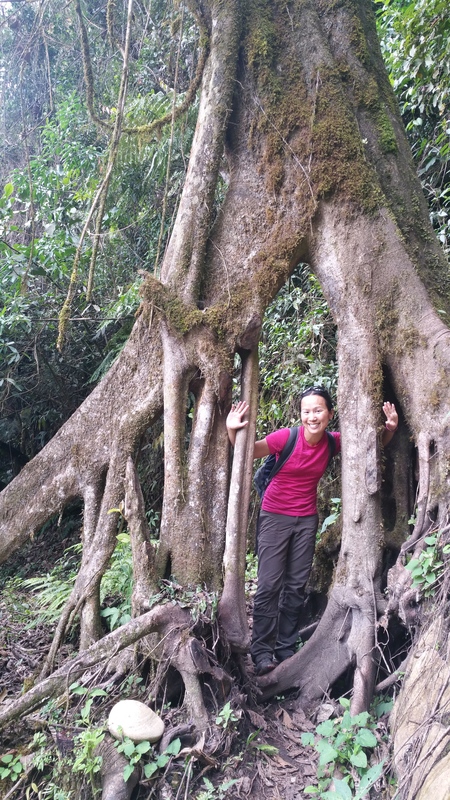 Two days of buses, a new town, a rainforest, and some waterfalls and mud. Not bad for our first day in Chachapoyas. Now we had one site left before heading further north into Ecuador: Kuelap! 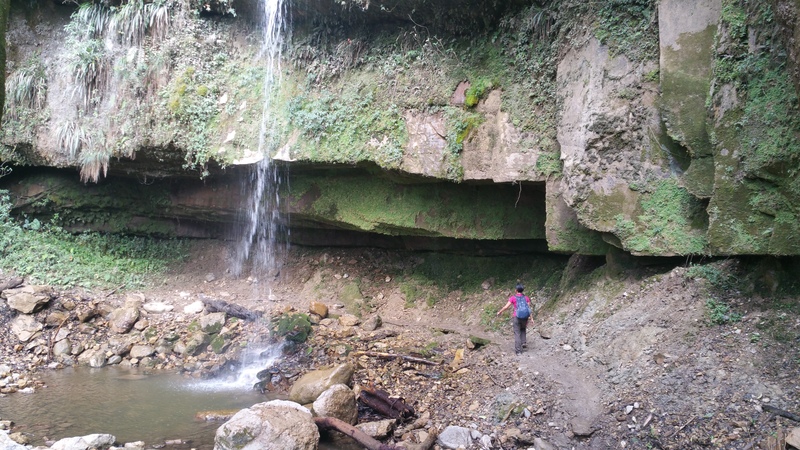 This entry was posted in Peru and tagged chachapoyas, yumbilla waterfall. Bookmark the permalink.